Now That's a Power Lunch! Celebrity nutritionist and registered dietitian Rachel Beller MS, RD has helped thousands of men and women worldwide achieve their weight goals, fight cancer, and enhance their overall health -- all in an upbeat, direct style that's made her America's go-to nutritionist for TV shows like Good Morning America, The Today Show, The Dr. Oz Show, The Rachael Ray Show, and others. Her science savvy with a touch of sass also makes her the perfect keynote speaker for health organizations, nutrition and wellness expos, women's groups, schools, and corporate settings. Beller is a spokesperson for the American Cancer Society and the founder of the Beller Nutritional Institute in Beverly Hills, where her clients include Hollywood celebrities and executives. Her bestselling book, Eat to Lose, Eat to Win (William Morrow), stands out from the dozens of diet books published every year, thanks to her "get-real" science-based action plan, eye-catching "Buy This" visuals, jaw-dropping Food Autopsy™ alerts, healthy yet tasty recipes, easy-to-use shopping guides, and inside secrets from her years of clinical research. Her forthcoming book, Power Souping (William Morrow Paperbacks), is the first book to reveal the powerful health benefits of the latest diet trend known as souping. Beller shares what makes a soup diet effective, which recipes to try and what soups to avoid, and how to fit soups into an action plan for life. Power Souping features 50 delicious, easy-to-make recipes for the entire 3 weeks, plus a handy list of approved convenience foods for those on the go. And since commitment doesn’t mean eating just soup for the rest of your life, Beller provides key methods to integrate flavorful favorites into everyday eating for the next 3 months and beyond. 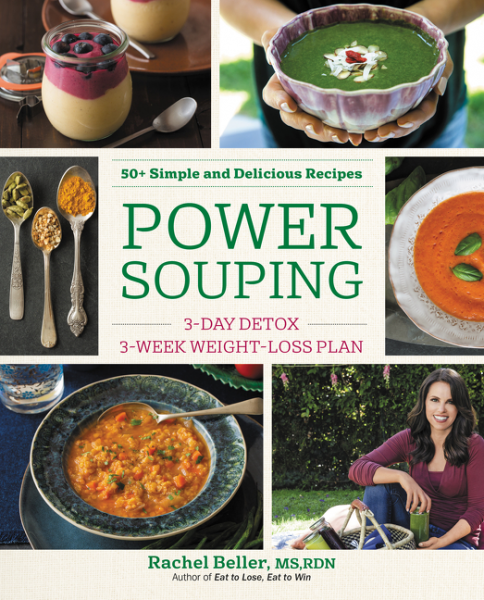 More effective and sustainable than juice-based diets, Power Souping is not only a practical weight-loss handbook, but a healthy guide for life. 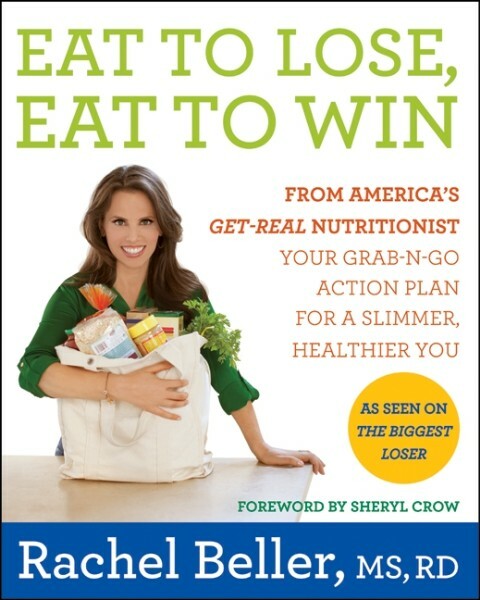 Millions of Americans know Beller as the nutritionist on NBC's hit show The Biggest Loser, where she revealed her tricks of the trade and showed the contestants how to put skinny solutions into their shopping carts and onto their plates. Beller also served as a nutritional consultant on the Oxygen Channel's hit series Dance Your A** Off, and Dr. Drew's Lifechangers. In addition to being Glamour magazine's nutrition expert, helping design their "Body by Glamour" plan, Beller has been featured in Vogue, Redbook, Family Circle, Self, Prevention, Fitness, Marie Claire, Parenting, and numerous other magazines. After receiving her bachelor's degree from UCLA and her master's and registered dietitian degrees from the California State University, Los Angeles, Beller conducted research at Cedars-Sinai Medical Center and the John Wayne Cancer Institute. With her avid interest in the role of nutrition in cancer prevention, Beller works with many organizations, including the Academy of Nutrition and Dietetics, Right Action for Women (the Christina Applegate Foundation), and Matthew McConaughey's j.k.livin foundation to name a few. "I can safely say that Rachel has changed the way I look at my body and what I put in it. I have turned all of my friends on to her." "Rachel is a genius at designing weight-loss programs that are simple, yet at the same time tell you exactly what to eat and how to succeed... so you know you're not only going to drop a few dress sizes, but you'll do it in a healthy - and, literally, life-affirming - way." "Rachel has been so instrumental in helping others adopt a more healthy and preventative lifestyle but more importantly, for myself as well. Every news channel, every magazine, every newspaper is riddled with ads for new diets, new foods, new "healthy" alternatives. Rachel has the experience and knowledge to separate the fact from fiction. She provides an honest, straightforward and simple approach to nutritional counselling that I know I can trust for me and my whole family." "Rachel Beller has helped me to change my diet to one that is preventative, promotes good health and fitness, along with the added benefit of the loss of unwanted pounds. I have learned so much from her extensive knowledge of nutrition. She changed my diet and changed my life!!" "Rachel Beller deserves many kudos for the extraordinarily important work she does. In addition to doing cutting-edge research to advance the field of nutrition, she provides wonderful help and support to those who, like me, wish for nutritional support to maximize their health and well-being." "My family and I have personally benefited from Rachel's expertise. I believe she is second to none and I cannot recommend Rachel highly enough."